In just a few weeks the Formula 1 teams will reveal their cars for the 2017 season, which have been built to new regulations that were designed to produce more aggressive-looking machines that also lower lap times. Launch season is an intriguing time of year, and that is especially the case ahead of a major rules revamp. 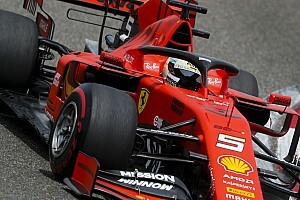 The established pecking order could be shaken up or the front runners could extended their advantages – no one will know for sure until the cars hit the track for the two pre-season test sessions at the Circuit de Barcelona-Catalunya. For this guestblog, JA on F1 spoke to Phil Charles, who has been the chief race engineer at the Toro Rosso team for the last three seasons. 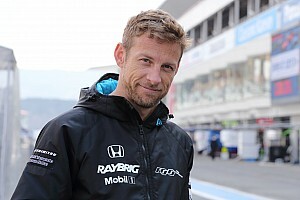 He started his career at Renault and had spells as a designer, research and development engineer, seven-post rig and simulation engineer and as a vehicle dynamicist at the Enstone-based squad. During his time with Renault F1 team he was also credited (along with the now-retired Dave Hamer) with the idea to put the tuned mass damper in the nose of the 2005 R25 Renault car. Charles resigned from Toro Rosso midway through last season citing the difficulties of a work base in Italy and having a young family in the UK. He is well placed to give us the inside view on the big changes coming ahead of the 2017 season and the impact they may have on the racing. Every so often in F1 we have a big set of regulation changes added into the mix and things get even more complicated. This does give you the opportunity to advance if you react to the new rules well or commit early in the previous years, with Brawn GP being the obvious example in the 2009 regulation changes. The team spotted a grey area in the rules and asked the FIA the right question in the right way to validate their interpretation. This means that big rules changes give a good chance that the grid can shaken up. However, there is a bit of a caveat here: the Brawn example is an extreme case. The double diffuser was a masterstroke that gave a massive offset in performance, but despite this, the big teams with the big resources quickly reacted and chased them down with relentless development. This meant that the Brawn advantage had all but disappeared by the end of the year. This is actually the point – the big teams are more likely to have the extra resources to commit to development on the new regulations early. They can also quickly implement their own versions of everyone else’s clever bits as all of the cars are first seen rolling out of the garages at the first test. Overall the big teams are more likely to prosper unless the small teams have spotted something significant or their homework is difficult to copy quickly. In terms of the specifics of this year’s big rule changes, unfortunately when I resigned mid last year I was cut out of the 2017 car’s development so I haven’t seen an example of a 2017 car and don’t know what the new Toro Rosso will look like. That being said I have studied the rule changes and do have some opinions. Aesthetically the cars will look much better. 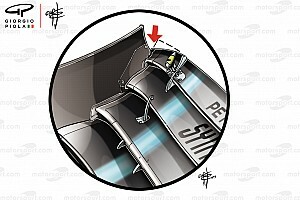 The wider and lower rear wing and more scope for big bargeboards ahead of sweptback sidepods will look racier. The front wings are also swept back in plan view starting from a point 1200mm ahead of the front axle and this looks more aggressive. Although I am not sure how important it is to the fans watching at home, another aspect I am personally excited about is the fact that the cars will be more physical to drive,as they will be cornering faster. One of my recollections as a test engineer in the mid 2000’s is of several young test drivers confidently telling me how fit they were before calling me over to the car after a handful of laps requesting to fit the pad on the headrest they had rejected the day before to support their necks – and this was a common thing. 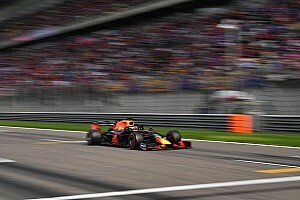 It will make for an extra dimension to the race weekends this year as the stronger and fitter drivers will come to the fore at some of the more physical tracks. Communication with the teams over the radio will also be a bit more breathless and interesting. It still surprises me now how some of the current drivers sound like they are taking a walk in a park - Daniel Ricciardo in particular sounds like he is sat at home watching the TV when he is often in high speed battle. In terms of the effect on overtaking, I have been thinking back to my own kart racing in the 1990s (I am actually a failed racing driver in a previous life). I remember making a step from the very popular economy class [TKM] to the top class in the UK at the time [Formula A] and this change came with a marked step in tyre grip moving from a very hard and durable tyre to a much softer one. Overtaking was much more difficult in the Formula A kart as the braking distances were much shorter. I likened it at the time to having a smaller target to aim at and that target disappeared more quickly. With a similar change coming in F1 in 2017, this could mean we see fewer overtakes but the chance for a overtaking manoeuvre going wrong could be higher. This could be good for the show and will promote the more skilled drivers who can overtake well. Having said all of this we need to consider that the DRS effect has a big impact in overtaking in the F1 of today so the ‘power’ of the 2017 DRS systems (i.e. the speed delta between a DRS active and no DRS car) will be important. The cars will also be slower on the straights as the drag of the wider cars and tyres is much higher. This will mean cars with more efficient downforce packages or more powerful power units will be at a further advantage for both lap time and overtaking in 2017. These are the respective strengths of the Redbull and Mercedes teams in recent time and so it will be interesting to see if others can jump into the mix with these two teams. Pirelli have been tasked not only with increasing grip levels but also in making the tyres more resilient to not lose peformance once they have been over a certain sliding level or temperature range. This trend has been a 'bug bear' for the drivers in recent years. 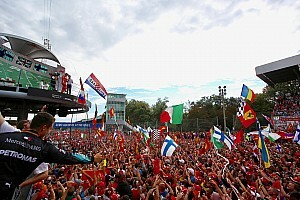 If Pirelli have achieved their targets the drivers will be happy as they will be able to push more freely. From the engineering point of view I can argue for and against this; the tyres have been generally difficult to get and keep 'in the window'. However, that has also been a very big and interesting engineering challenge and when you really did a good job in helping your driver get it right - by helping him understand how to look after the tyre - there was a pretty good reward avaialable. Where something is on a knife edge like this it also gives the smaller teams a chance to do a better job on the day when it is really difficult. When everything is easy the cars tend to finish in their performance order - so I like it when it is not easy on the drivers! My final thought is for the mechanics. The teams all monitor the pitstop performance of their competitors very closely and the ‘virtual pitstop championship’ is hotly contested. Consider that in 2017 the front tyre is 60mm wider at the tread and it weighs 0.8kg more than last year, while the rear is 80mm wider and just shy of 2kg heavier. This means they will be quite a bit more awkward to move around and so those mechanics that will soon be tired of working big hours to get their new car on track [which we will cover in a second guestblog closer to winter testing] will also have to be doing lots of pitstop practice to recover the time lost fitting and removing the 2017-spec wheels. Debate – which drivers do you think will adapt best to the 2017 cars? In his article, Charles’ mentions that the rules behind the designs of the new cars may make overtaking more difficult, but equally they could also reward those drivers who are better at making a move stick. Haas F1’s new recruit Kevin Magnussen recently explained that the previous generation of cars punished racers who were “overdriving”. The 24-year-old Danish driver, who competed for McLaren in 2014 and Renault last season, now hopes that that will be less of an issue with the new cars and their higher levels of downforce. He said: "These new cars will probably suit that better than [the cars that had] less downforce. I'm looking forward to it - it's going to be fun to try. If our expectations are true, then they're going to be the fastest Formula 1 cars ever, probably, so that would be exciting." So who do you expect to cope best with the new cars? Is there a driver that you think will be able to pull off stunning passes or reach new heights with greater downforce and wider tyres? Leave your thoughts on this and Charles’ post in the comment section below or head over to the JA on F1 Facebook pagefor more discussion.